I’m Ed Smith, an Auburn personal injury lawyer. A local man recently suffered fatal injuries as the result of being involved in an Auburn-area car accident. Officials reported the crash right after it happened on Thursday, May 3, 2018. California Highway Patrol (CHP) said the crash occurred on a rural road to the Northeast of Auburn and that only one car was found at the accident site. Placer County officials publicly reported the identity of the individual the following day, Friday, May 4, 2018, after his family was notified about the tragic crash. The fatally injured man was reported to be John M. Muhr, a 62-year-old of the nearby community of Newcastle. My sympathy goes out to Mr. Muhr’s grieving family and friends during this difficult period of loss. The CHP indicated that the crash happened on Foresthill Road between Michigan Bluff Road and Georgia Road. Muhr had been driving his car, a 1990 Toyota Corolla sedan, west, and witnesses stated that his vehicle had been traveling fast when it entered a large curve. As Muhr came up to the curve, his car crossed over the middle of the highway and drove into the eastbound lanes before driving off of the road and onto the eastern roadway shoulder. After driving onto the eastern shoulder, reports say that it seems Muhr attempted to correct the vehicle, but crossed over the highway again and finally crashed into two trees off of the road’s western side. The crash caused Muhr’s car to roll over. CHP sent medics and officers to the accident area after they were told that a possible injury crash had occurred. Emergency responders said that Muhr was found in his vehicle at the crash site with severe accident trauma. Sadly, Muhr was not able to be saved and was officially declared deceased at the location of the crash. No passengers were reported to have been in Muhr’s vehicle at the time of the incident. Authorities are still trying to understand what caused this fatal accident to happen. No possible accident causes have been suggested by officers investigating the crash so far. However, factors could include things that commonly lead to severe accidents such as a medical issue suffered by the driver, an auto part that does not work correctly, hazards in the roadway, and more. When car crashes are the fault of malfunctioning parts, the parties who sold and/or made them can often be held responsible for paying the damages that their faulty product caused. 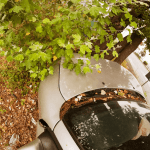 Cases like this are commonly referred to as “auto products liability” claims. For more information about how auto products liability cases can be dealt with, you can call my office. I’m Ed Smith, an Auburn personal injury lawyer. If your loved one passed away in a car accident, reach out to me for friendly, free legal advice. Give me a call at (800) 404-5400 or (530) 392-9400. If you prefer, you can also use AutoAccident.com to contact me. I’ve helped Auburn residents to obtain the full repayments they are owed in cases of wrongful death and/ or personal injury for over 36 years. I’m in the Million Dollar Advocates Forum, a group for trial attorneys in the U.S. who have settled or won a case totaling $1,000,000 or more in value for clients. See some of our previous Verdicts and Settlements. To find Northern CA’s best source of information and news about personal injury and local car accidents, see AutoAccident.com.